Legendary Dallas Cowboys quarterback Don Meredith is Banjo Hackett, a free-spirited horse trader who travels the American West in search of a rare Arabian mare. Accompanied by his orphaned nephew, Banjo faces stiff competition from bounty hunter Sam Ivory, a dirty skunk who'll stop at nothing to claim the $10,000 reward for the mare's capture. 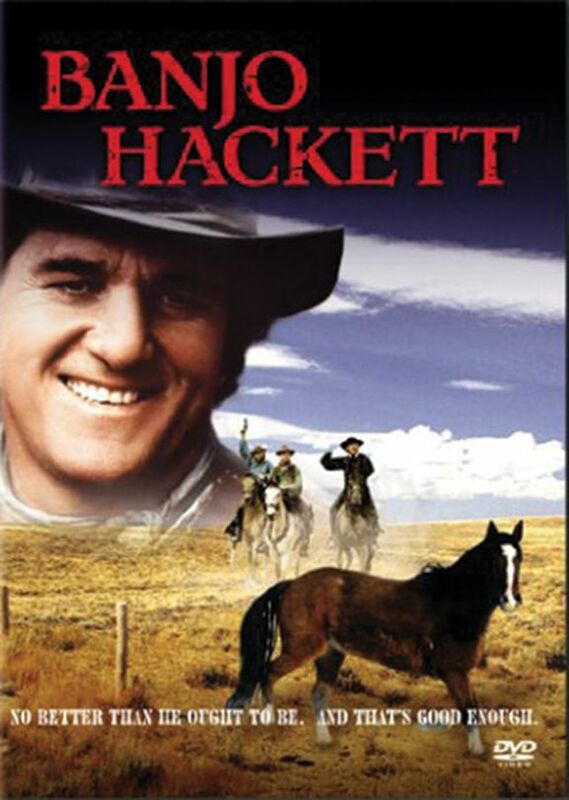 Legendary Dallas Cowboys quarterback Don Meredith is Banjo Hackett, a free-spirited horse trader who travels the American West in search of a rare Arabian mare. Accompanied by his orphaned nephew (Ike Eisenmann, Star Trek: Wrath of Kahn), Banjo faces stiff competition from bounty hunter Sam Ivory (Chuck Conners, The Rifleman), a dirty skunk who'll stop at nothing to claim the $10,000 reward for the mare's capture. Jam-packed with action, excitement and fun, Banjo Hackett is a straight-shootin' Western adventure the whole family will enjoy.